The 2010 Ford F-150 is an excellent all-around truck, though competitors offer a bit more grunt. After a full redesign last year, the big news for the 2010 Ford F-150 is the return of a Harley-Davidson trim level and the introduction of the high-performance SVT Raptor. Beyond that, the flareside body style has been phased out, and there are minor equipment adjustments for certain trim levels. Refined ride, quiet interior, wide variety of cab and bed configurations, top crash-test scores, good-looking and functional cabin. Ford's F-Series has been America's best-selling vehicle for most of the past 30 years. The most popular model of this grouping, the F-150 has long been known for offering a cluster of core traits that appeal to full-size truck buyers. Among them are impressive towing and hauling capabilities, respectable reliability and a mind-boggling variety of body styles, trim levels and options. More recent F-150 iterations have also offered a smooth, quiet ride and an easy-to-drive demeanor, and to nobody's surprise, the 2010 F-150 continues this tradition. The most significant news for this year is the introduction of the new F-150 SVT Raptor. It's been a while since Ford has built anything from its SVT (Special Vehicle Team) division, with the high-performance F-150 SVT Lightning last being produced for 2004. The new SVT Raptor is also about performance, but this time around it's for off-, not on-road applications. The Raptor boasts an optional 6.2-liter V8 (not available on early production models), special off-road tires, a revised suspension with wider front and rear tracks, enhanced wheel travel, specialized shock absorbers, an electronically locking rear differential, sport seats and exclusive exterior and interior styling. For more mainstream use, the F-150 continues to have much to offer, including a pleasant interior, a smooth ride and numerous body styles. There are a number of desirable features as well, such as a flat rear floor and expansive rear-seat room in crew cab models, deployable steps to ease access to the bed, Ford's Sync multimedia voice command system and the contractor-oriented lineup of "Work Solutions" options. The F-150 is a perennial best-seller because Ford listens to truck people, and the 2010 F-150 epitomizes this philosophy. The F-150 does have one weakness, though, and that's power. While competing models from Dodge, General Motors and Toyota offer formidably powerful V8 engines, the 2010 Ford F-150 soldiers on with the venerable 5.4-liter V8 being the top engine choice. We pitted the F-150 against the current Ram, Tundra and Silverado in a full-size pickup comparison test, and the F-150 came in last. Had the Ford been packing more power under its hood, the results would likely have been different. All said, though, the F-150 is still one of the most appealing trucks on the market thanks to its user-friendly features and pleasant driving dynamics. The question is whether you need or want more oomph than the Ford can provide. The 2010 Ford F-150 full-size pickup truck is available in three body styles: regular cab, extended cab ("SuperCab") and crew cab ("SuperCrew"). Cargo box size choices vary as well: Regular cabs come with a 6.5-foot or 8-foot cargo bed, while SuperCabs can have either of those or a garage-friendly 5.5-footer. The SuperCrew can have either the 5.5-foot or 6.5-foot bed. Reverse-opening rear doors are standard on regular and SuperCabs for easier cab access, while SuperCrews have four full-size doors. 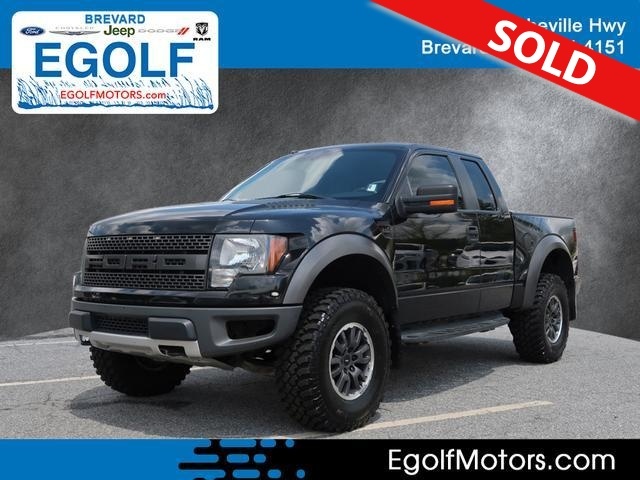 No fewer than nine trim levels are offered: base XL, sporty STX, popularly equipped XLT, rugged FX4, luxurious Lariat, leather-saddle-inspired King Ranch, blinged-out Platinum, bad-boy Harley-Davidson and gonzo off-road SVT Raptor. Geared toward commercial use, the bare-bones XL comes with 17-inch steel wheels, vinyl seating, an AM/FM radio, air-conditioning and not much else. The STX is similarly equipped but adds sportier-looking trim and an upgraded sound system with a CD player and an auxiliary audio jack. The volume leader XLT features an upgraded cloth interior, cruise control and full power accessories. The FX4 (4WD) features a towing package, 18-inch wheels, underbody skid plates, retuned springs and shock absorbers, front bucket seats, a six-way power driver seat and satellite radio. The Lariat offers upscale interior trim, leather upholstery, 10-way power driver and passenger seats, heated front seats, power-adjustable pedals, a power-sliding rear window, the Sync multifunction voice-command system and automatic climate control. The King Ranch is similar to the Lariat but has western saddle-inspired leather upholstery, second-row heated seats, an in-dash six-CD changer and heated/cooled front seats. The top-line Platinum trim features 20-inch chrome wheels, special interior and exterior accents and heated/cooled front seats. This year's new crew-cab Harley-Davidson model is similarly luxurious and also features 22-inch wheels and Harley-Davidson-themed trim. The off-road-ready SVT Raptor extended cab hits the trail with an optional 6.2-liter V8 (not available on early production models), specialized wheels and tires, a heavily modified suspension, sport seats and exclusive exterior and interior styling. Key F-150 options include the SFE (superior fuel economy) package that's available on 2WD SuperCrew XL and XLTs with the 4.6-liter high-output V8. Other options include a premium Sony audio system, a hard-drive-based navigation system with Sirius Travel Link, a back-up camera, a cargo management system, a stowable bed extender, a trailer brake controller, reverse parking sensor, a rear-seat entertainment system and a sunroof. Aimed at those who work out of their trucks, Ford's Work Solutions options include an in-dash computer with Internet access, a Midbox storage system (a lockable compartment located between the cab and bed) and a "Tool Link" system (which allows one to keep tabs on tools stored in the truck's box via radio-frequency tracking). There are three main engine choices in the 2010 Ford F-150 lineup, all of them V8s: a 4.6-liter that makes 248 horsepower and 293 pound-feet of torque, a higher-output 4.6 with 292 hp and 320 lb-ft and a 5.4-liter V8 with 320 hp and 390 lb-ft. The base 4.6 is paired to a four-speed automatic transmission, while the high-output 4.6 and 5.4 are mated to a six-speed automatic. The SVT Raptor comes standard with the 5.4, and a 6.2-liter V8 good for about 400 hp is available later in the model year with the same six-speed auto as the 5.4. The last F-150 we tested with the 5.4 ran from zero to 60 mph in 8.4 seconds, well behind trucks like the Tundra and Silverado with their top-shelf V8s. The brakes have a soft feel about them, but stopping distances are very good for a big truck. In instrumented testing, we stopped a four-wheel-drive Super Crew from 60 mph in an impressive 127 feet. As expected, buyers have a choice between two- and four-wheel drive on all versions of the F-150 except the Raptor, which has standard four-wheel drive. When it comes to technical working capacity, the F-150 can't be beat: Properly equipped, an F-150 with the 5.4-liter V8 can tow up to 11,300 pounds and carry a 3,030-pound payload. However, the lack of under-hood punch and hefty curb weight mean that the F-150 is seriously laboring at anything close to these capacities. Fuel mileage can be as high as 15 mpg city/21 mpg highway and 17 mpg combined for an F-150 2WD SuperCrew with the SFE package. A more typical 4WD SuperCrew with the 5.4-liter V8 gets EPA estimates of 14/18/15 mpg. Antilock disc brakes, stability control, trailer sway control and a full complement of airbags (including front seat side and full-length side curtain) are standard across the board. The F-150 has earned top marks in every crash test it's been subjected to, scoring five stars in government front- and side-impact tests and the top rating of "Good" from the Insurance Institute of Highway Safety in its frontal-offset and side-impact tests. In SuperCrew form, the 2010 Ford F-150 can comfortably seat four people, and you can squeeze in up to six in a pinch. Backseat comfort is superb thanks to abundant legroom, a flat floor and a seatback angle that's pleasantly reclined. Cargo-carrying capacity in the SuperCrew's cab is also excellent. The SuperCab is still fairly roomy, but legroom is noticeably less generous. All F-150s feature simple controls and good-quality materials (by full-size truck standards). The navigation system includes an 8-inch screen with impressive clarity. Lower trims have a standard 40/20/40-split bench seat with a column shifter, while the upper trims feature captain's chairs and a console shifter. Special models like the SVT Raptor and Harley-Davidson feature unique interior design elements. The 2010 Ford F-150 delivers solid ride and handling dynamics for a full-size truck, and it's remarkably quiet at speed, a trademark of recent F-150s. It's still down on maximum power, though, to the tune of 60-80 hp compared to the big V8s in the Ram, Tundra and Silverado. Whether this is a deal-breaker depends on what you plan to use your truck for. Realistically, most people probably don't need that extra 60-80 hp, but a good number will probably want it anyway. The purpose-built SVT Raptor is expected to be a treat to drive off-road.